Jeff Hall sees more and more of them every year, and even though they’re great for business, there’s something inescapably sad about their growing numbers. Hall is the director of the Lowell Observatory in Flagstaff, Arizona, and just one of many to witness how the light pollution that seems to be encroaching everywhere has fed a growing genre of tourism. There are now travelers going to great lengths to see our increasingly rare, genuinely dark night skies. The observatory now sees 100,000 visitors a year. An astonishing eight in 10 Americans live somewhere where they can’t make out the Milky Way at night no matter the conditions, and there’s no sign that figure will decrease. Overdevelopment and the rise of the standard LED (which illuminates at a bluish frequency that’s especially effective at blotting out the stars when the sun goes down) are largely to blame. The older, yellowish sodium bulbs cause much less light pollution, and though there are amber-colored LEDs available, it’s the standard white LEDs that have become ubiquitous. “People are beginning to really understand that the starry night skies are a resource and an experience worth seeking out, and we’ve noticed a big increase in people seeking out these dark places,” said Amanda Gormley, spokesperson for the International Dark-Sky Association, a nonprofit dedicated to preserving notable places around the world that are still free from light pollution. 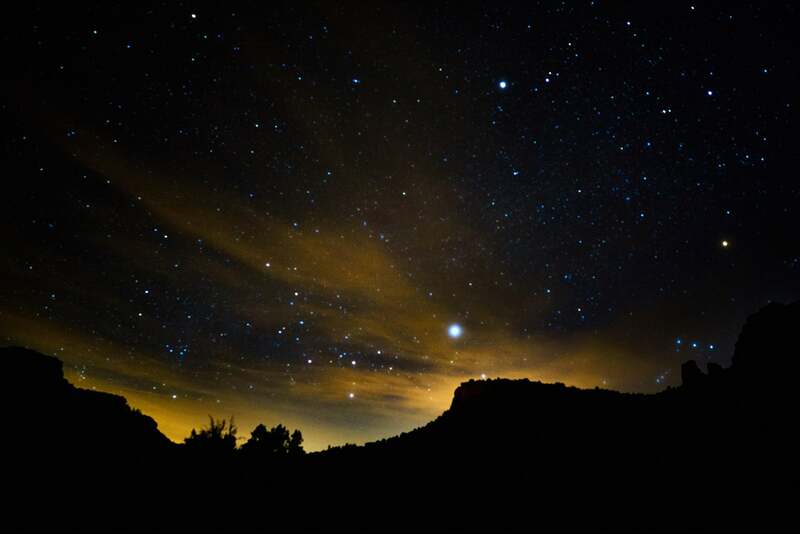 In Sedona, Arizona, Cliff Ochser is the founder and president of Sedona Stargazing, a tourism company that caters to people coming to the northern part of the state for its legendarily great views of the nighttime lights of the Northern Hemisphere. He and his clients, who come from around the world, travel a little ways out of town, set down folding chairs and watch as humankind’s oldest motion picture unfolds above them. The IDA maintains a list of sites around the world that it certifies as having dutifully maintained dark skies, with locations as far-flung as New Zealand’s Great Barrier Island and the Elqui Valley of northern Chile, and as close at hand as western New Mexico and north central Pennsylvania. But many of the sites are threatened by potential development and nearby urban growth, making the need to see the remaining dark skies even more pressing for astrotourism aficionados. Already, Hall noted, it’s almost impossible to find a truly dark night sky anywhere in the US east of the Mississippi and north of the latitude of Dallas.